When battle comes, you take whatever weapon you can get, even if that means breaking off a sturdy branch. Have no fear, though, for that branch is actually this LARP Wooden Staff - in short, one mean stave that you can use to decimate your foes. 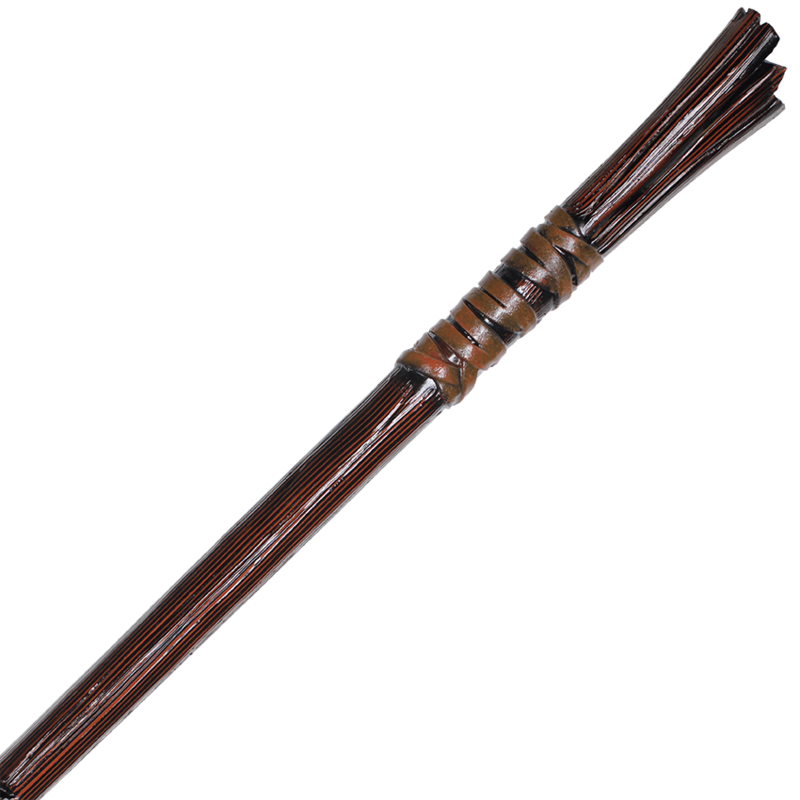 Looking like a treated piece of wood, this staff offers handsome wood grain tones along its length, as well as split ends that are reinforced with simulated leather wrapping at the tips. The result is a slightly broader end that acts as a perfect cudgel! It is crafted from an extremely durable foam that does not shred, which has been sealed within a strong coating of latex. As safety is always a concern in LARP combat, this weapon also features a round, flexible fiberglass core that bends and flexes. The core also features a durable Kevlar cap for added protection, both against punch through and for when the weapon is used to thrust. 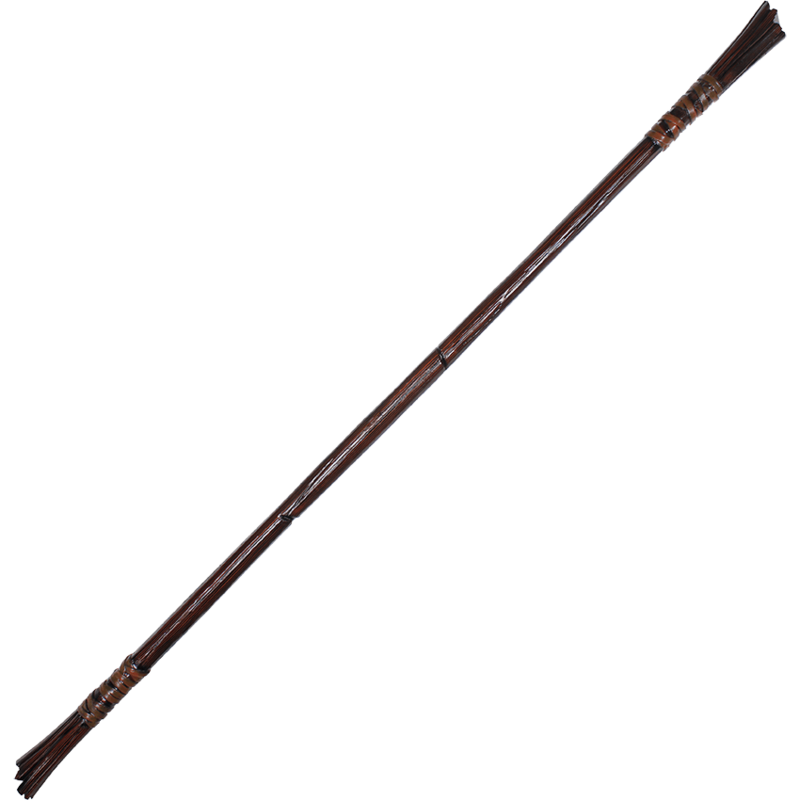 This staff has an average overall length of approximately 74 inches. Please be aware that this measurement can vary slightly as it is a hand-made item.